At C. Wraight, we have decades of experience in delivering a reliable removals Kent and removals London based service. This has enabled us to develop our expertise in a number of specialisms including the delicate and highly skilled process of fine art removals and antique removals. Our Fine Art Shipping division is dedicated to handling every type of fine art, from moving paintings to transporting and storing sculptures and antiques. Our well-trained removals crews employ tailored packing materials and specialised equipment in order to deliver the high quality of service our customers expect from one of the UK’s leading fine arts removals company. We have been involved in moving some of the world’s most valuable and important works of art, ranging from modern abstract works to Renaissance masterpieces, and our clients have included private individuals, museums, auctioneers, galleries and heritage bodies such as English Heritage. The process of any fine arts removal begins with a careful survey and assessment of the artwork that is to be moved. We prepare specific risk assessments and removal plans for each item, to ensure that every piece of artwork is handled in the optimum way. At C. Wraight our design of the packing process for each item includes the use of specialist protective cases matching the particular specifications of each piece. Moving fine arts pieces is itself an art, sometimes requiring a unique approach for each item. This is why we recommend that custom cases are used to contain valuable artwork. A custom case will account for the unique size and shape of the artwork, providing bespoke protection during transport. The packing of your valuable artwork is handled by our trained art technicians. We will determine the best packing method at the time of our initial survey and will discuss this with you. If we have moved the item in question before, we will be able to consult the packing details we have on file. As part of the packing process, we employ specialist wax paper that prevents oil or gilt from sticking to the packaging itself. Paintings are then over-wrapped in 5-ply paper before they are placed carefully in their cases. A soft cloth inner, lined with an outer bubble wrap, is also sometimes used for additional protection, while the frames are protected by acid-free tissue and rolled corrugated card. In addition, padding is added to ensure that the piece doesn’t move in its case, before the wooden crate is secured and marked with details of customer and destination. Many of the high-value artworks that we have moved have utilised bespoke cases which offer added protection. These cases are often lined with foam to provide cushioning for the painting, which can be held securely at the C. Wraight storage facility until relocation time. Our service relies on the skill of our removal experts. Due to the value of many of our fine art consignments, all of our employees are screened at a high level of security clearance and carry identification cards with them at all times. We also ensure that their skills are honed and kept up to date through our removals training school, which all employees attend every year. Rest assured, all fine art removal projects are handled by senior operations managers, and the details kept confidential. 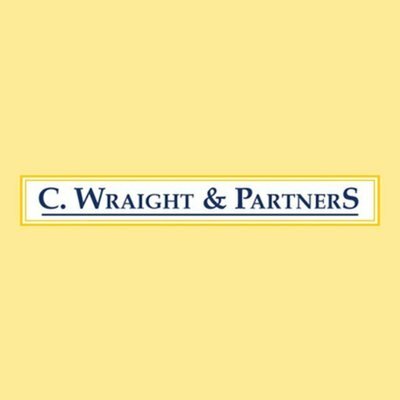 Client information remains private, and all C. Wraight employees are fully trained in the importance of data protection. Our clean, modern, purpose-built warehousing facilities are located in low-crime areas and are fully protected by a state-of-the-art Redcare alarm and CCTV systems. The C. Wraight fleet is made up of modern removal vehicles, which feature soft air-ride suspension and a double inner skin that offers maximum protection for all loaded items throughout their journey so that your fine art pieces arrive at their destination safely. When it comes to moving your valuable works of art, you want to be sure that they will be handled with the utmost care, dedication and expertise. At C. Wraight, our reputation for safely moving and transporting and storing fine art pieces has been built on decades of excellence. We offer a skilled, reliable and flexible service to give you peace of mind throughout the removals process.